Sorry, but Wow Cakes is not currently taking orders. A romantic three tiered stacked rich chocolate wedding cake coated in dark chocolate ganache and dark chocolate curls. 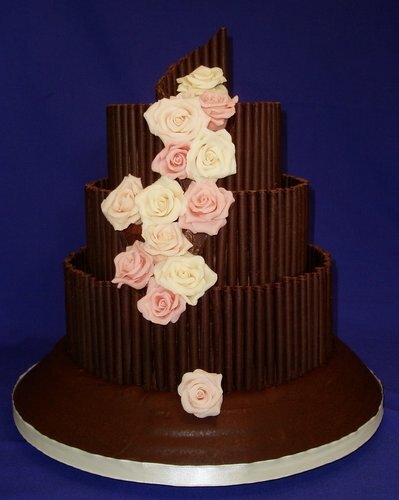 Delicate chocolate roses in shades of pink cascade down the cake.